Illustration I did for The Lord of the Rings: The Card Game. This is for the Race Across Harad Adventure Pack. © 2017 Fantasy Flight Games. Backtrack – Lord of the Rings LCG: Race Across Harad Adventure Pack. © 2017 Fantasy Flight Games. 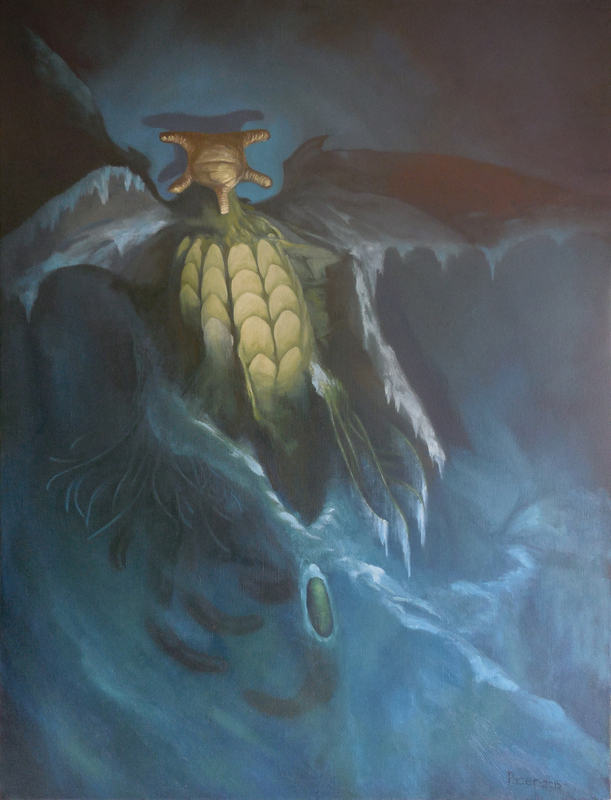 New Illustration for Elder Sign: Omens of the Deep Expansion. Illustration done for Elder Sign by Fantasy Flight Games. This is from the Omens of the Deep expansion. © 2017 Fantasy Flight Games. Footprints in the Sand – Elder Sign: Omens of the Deep. © 2017 Fantasy Flight Games. Here’s a couple more cards I did for Fantasy Flight Games that were released recently. First is “Slithering in the Dark” for Arkham Horror: The Card Game. This is from The Miskatonic Museum, the first Mythos Pack for the Arkham Horror LCG. The other is called “Wait No Longer” and was for The Lord of the Rings: The Card Game. This was for The Mûmakil Adventure Pack for The Haradrim Cycle. Slithering In the Dark – Arkham Horror LCG: The Miskatonic Museum Mythos Pack. © 2017 Fantasy Flight Games. Wait No Longer – Lord of the Rings LCG: The Mûmakil Adventure Pack. © 2017 Fantasy Flight Games. The Dunwich Legacy, the first expansion for Arkham Horror: The Card Game is now available! Here are some of the illustrations I did for it. Professor Warren Rice – Dunwich Legacy Expansion for Arkham Horror LCG. © 2017 Fantasy Flight Games. 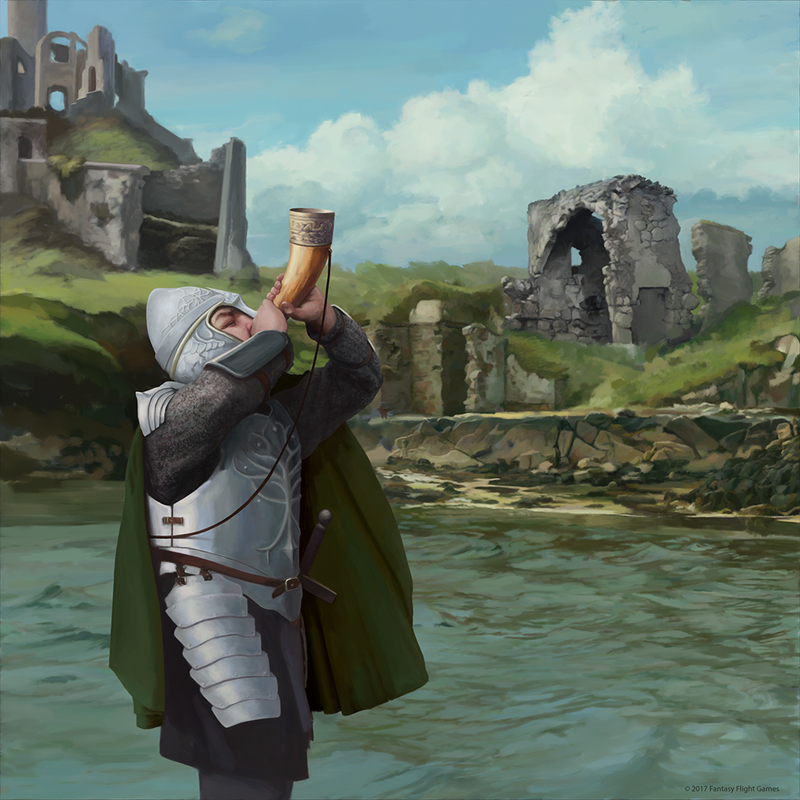 Jim’s Trumpet – Dunwich Legacy Expansion for Arkham Horror LCG. © 2017 Fantasy Flight Games. O’Bannion’s Thug – Dunwich Legacy Expansion for Arkham Horror LCG. © 2017 Fantasy Flight Games. Something in the Drinks – Dunwich Legacy Expansion for Arkham Horror LCG. © 2017 Fantasy Flight Games. Jenny’s Twin .45s – Dunwich Legacy Expansion for Arkham Horror LCG. © 2017 Fantasy Flight Games. Taunt – Dunwich Legacy Expansion for Arkham Horror LCG. © 2017 Fantasy Flight Games. About a year ago I started doing freelance work for Fantasy Flight Games doing illustrations for a new game called Arkham Horror: The Card Game. The game has finally been released, so I can start to show some of them. Enjoy! The Illustration section has been updated with some new work. Here’s a sample. This is an Elder Thing from H.P. Lovecraft’s story, At the Mountains of Madness. Just wanted to let people know that I updated the site with new stuff in The Concept Art and Illustration pages.